Boil the potatoes for approx. 20 minutes until they are tender. Cool them to room temperature or colder. Peel them and cut them into 1/2 inch (1 cm) thick slices. Mix the lemon, mustard and oil as in this recipe for vinaigrette . Chop the onion and herbs finely. Mix them into the vinaigrette. 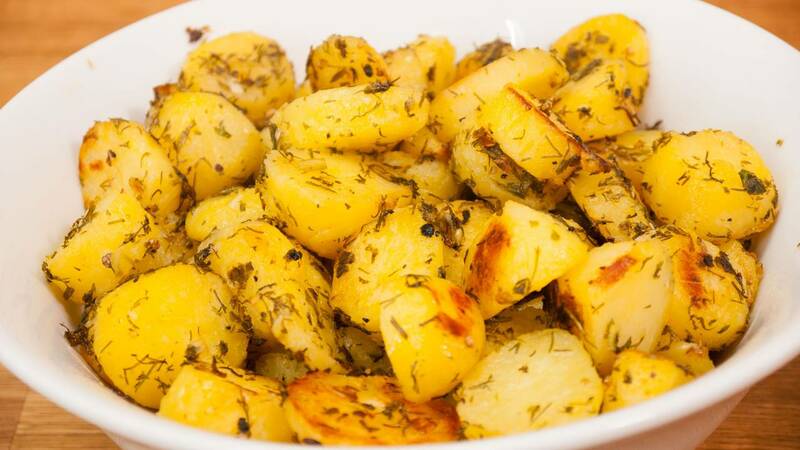 Fold the potatoes into the herbs and vinaigrette mix. Can be done a few hours before serving. The lemon and oil ensures it does not brown. You can use any herb, but I usually limit it to 2-3 different. 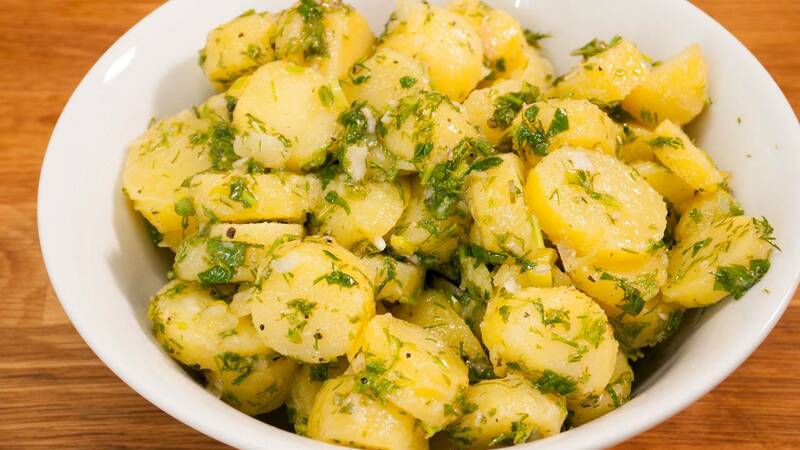 Most often, I make a green and a white potato salad for the same meal, where I then use 1 common and 2 different herbs in each. 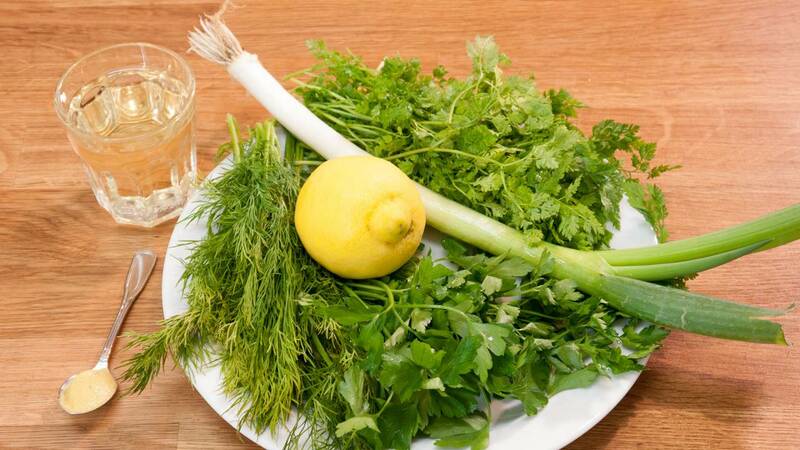 For example, white: parsley, chervil, dill and green: parsley, oregano, basil. 10 g (1/3 oz) herbs; parsley, dill, coriander, garlic, tarragon, chervil, oregano, thyme, basil or whatever you got handy of fresh or frozen herbs. You can basically mix the ones you want and what suits the rest of your meal. You can also use dried herbs, but then the dressing must rest a little longer. Finely chopped onions, spring onions, shallots, olives or chopped tomatoes. Step them at 200 ° C for approx. 20 minutes. Until they are golden.